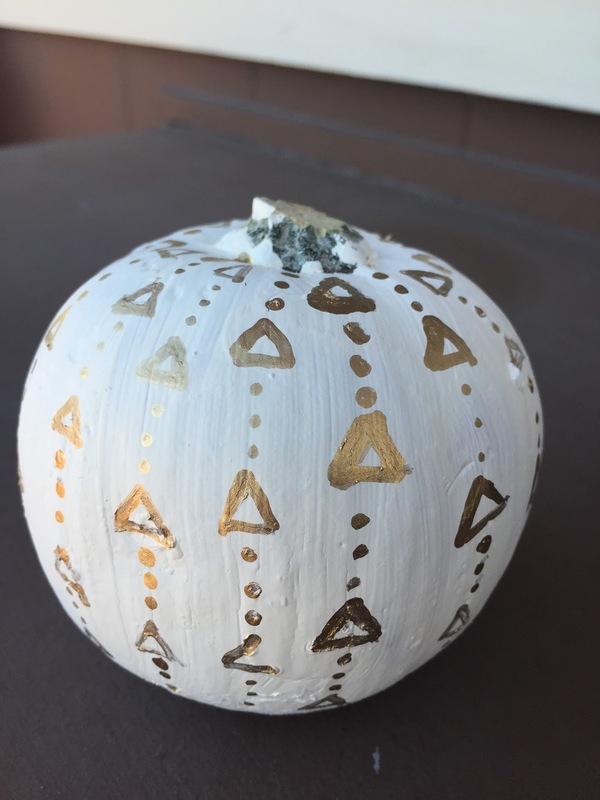 The white pumpkin (pictured above) is painted using white acrylic paint (paint several layers and let it dry before adding your designs in paint pen) and came out with a matte finish. 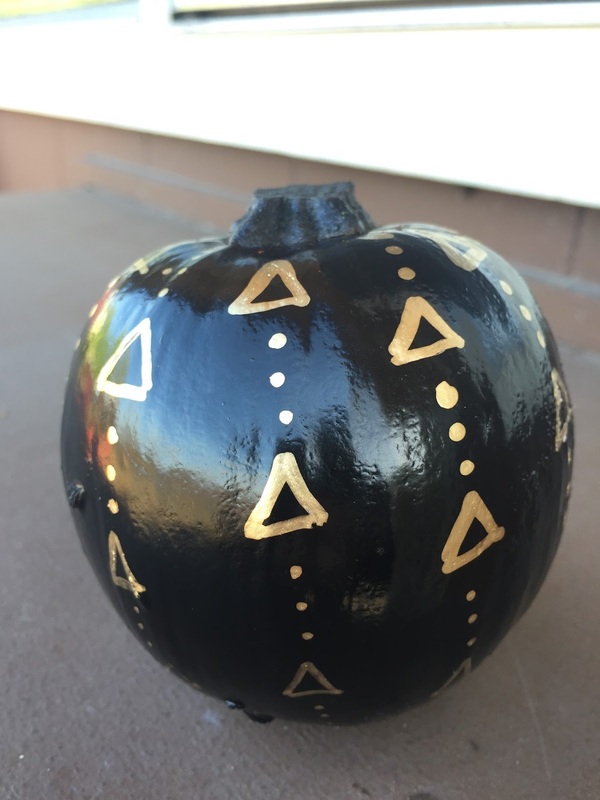 The black one below is sprayed with spray paint and came out with a glossy finish. Thanks Sandy! 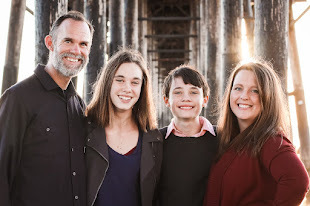 They were a lot of fun!